This battle was fought in Spain on 22 July 1812 during the Peninsular War (1808-14). Lieutenant-General Arthur Wellesley, Viscount Wellington, had been seeking an advantageous opportunity to engage Marshal Marmont's French force. 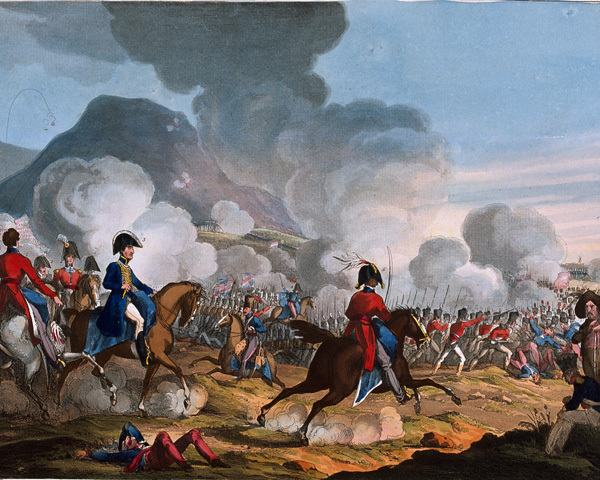 The battle defied Wellington’s reputation as a defensive general and shattered French dominance on the Iberian Peninsula. The Peninsular War began with the French and Spanish invasion of Portugal in 1807. In 1808 Napoleon turned on his Spanish ally, placing his brother Joseph on the Spanish throne. An expeditionary force commanded by Lieutenant-General Arthur Wellesley, Viscount Wellington, was despatched to Portugal and enjoyed initial success, defeating the French at Vimeiro in August 1808. By 1812 Wellington had secured Lisbon behind the Lines of Torres Vedras and then driven French troops from Portugal. The beginning of 1812 saw Wellington take the offensive into Spain. The town of Ciudad Rodrigo was taken on 8 January and, following a costly assault, the formidable fortress of Badajoz fell to the allied force of Britain, Spain and Portugal on 6 April. While there were 230,000 French troops in Spain at this time, they were divided between five armies and Napoleon’s imminent campaign against Russia meant that reinforcements were not available. Wellington had ensured French forces were held in place by Spanish regular and guerrilla actions that pinned them down throughout the peninsula. Once General Rowland Lord Hill severed communications between Marshal Marmont and Marshal Soult, capturing the Tagus crossing at Almaraz in May, Marmont’s isolation made him Wellington’s prime target. Wellington marched on Salamanca and entered the city on 17 June. Ten days later he took three of the outlying forts in an attempt to force Marmont into action. With Marmont unwilling to commit, Wellington moved out to manoeuvre against him, probing for an advantage that would allow him to force battle. 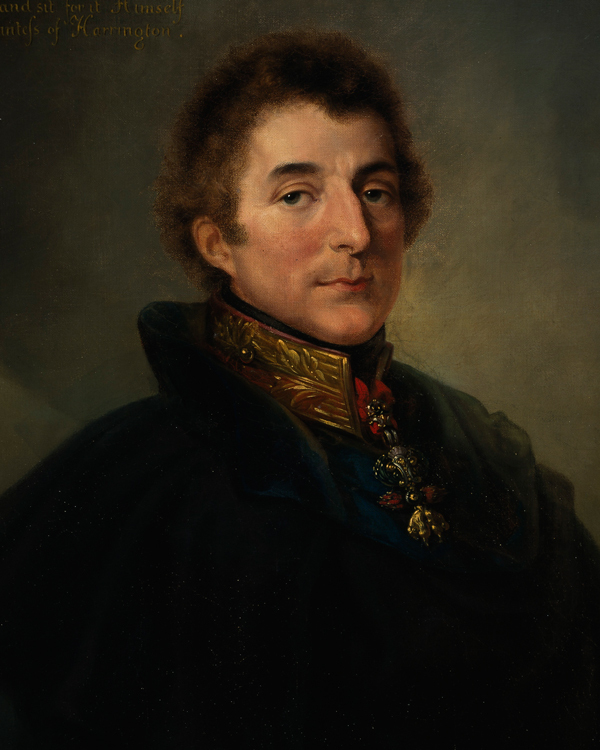 Wellington’s intelligence reports, however, warned that Marmont was soon to be reinforced by troops sent by Joseph Bonaparte. Fearing he had lost the initiative, Wellington was forced to consider the abandonment of Salamanca and retreat back to Portugal. Marshal Auguste Marmont (1774-1852) was a skilled artillery officer who had been an aide to Napoleon in his 1796 campaign in Italy. Once Marshal Massena was defeated decisively by Wellington at Fuentes d’Onor (1811), Marmont replaced him as commander of the Army of Portugal. 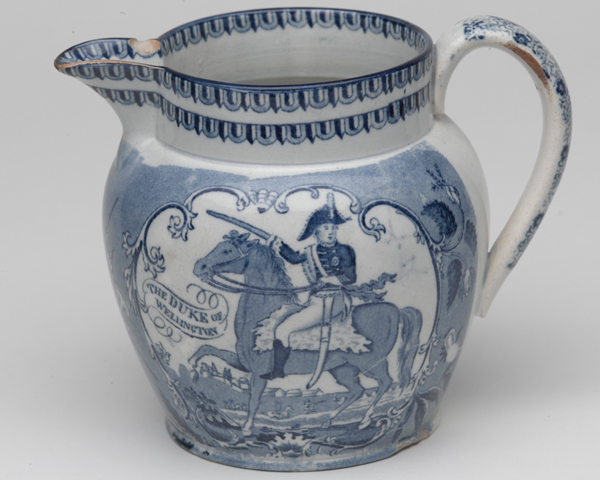 By July 1812 this consisted of 50,000 men and 78 guns. Lieutenant-General Arthur Wellesley, had been appointed to command in Portugal in April 1809, following the death of Sir John Moore. He had made his name in a series of campaigns in India. Wellington had already beaten the French in the peninsula, defeating them at Talavera in July 1809, for which he was given the title Earl of Wellington. At Salamanca his army was 48,000-strong and included contingents of Portuguese and Spanish troops. He also commanded 60 guns. By 22 July 1812 the two armies were west of Salamanca. Skirmishes broke out around two flat-topped hills that dominated the area, known as the Greater and Lesser Arapiles. The British occupied the Lesser whilst the French had the Greater. As the armies continued to move south-west, with Marshal Marmont attempting to block Wellington’s route to Portugal, Wellington’s forces remained hidden behind ridges north east of the Lesser Arapile. Marmont believed he knew his enemy. Wellington was a defensive general and would not be attacked on ground not of his own choosing. When Marmont noticed dust clouds created by Wellington’s baggage train, he believed his whole army to be in retreat. He instantly ordered three divisions to sweep quickly westwards to cut off Wellington’s escape. Wellington immediately seized his opportunity. Realising that Marmont had overstretched his forces, he launched a series of hammer-blows against the French columns. 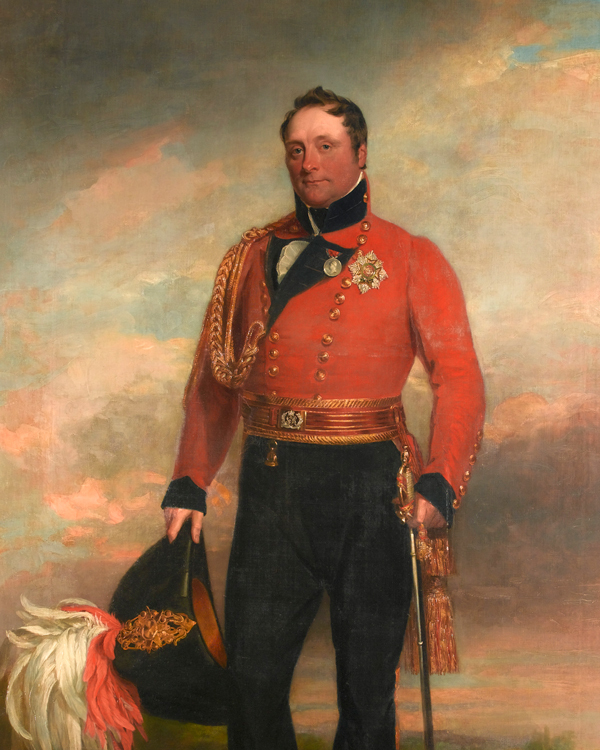 Major-General Edward Pakenham’s 3rd Division surprised Marmont’s left wing, which was shattered. Wellington then unleashed Major-General John Gaspard Le Marchant’s cavalry brigades, causing further havoc amongst French lines and accounting for ‘40,000 Frenchmen in 40 minutes’. Le Marchant himself was killed trying to break a French square. 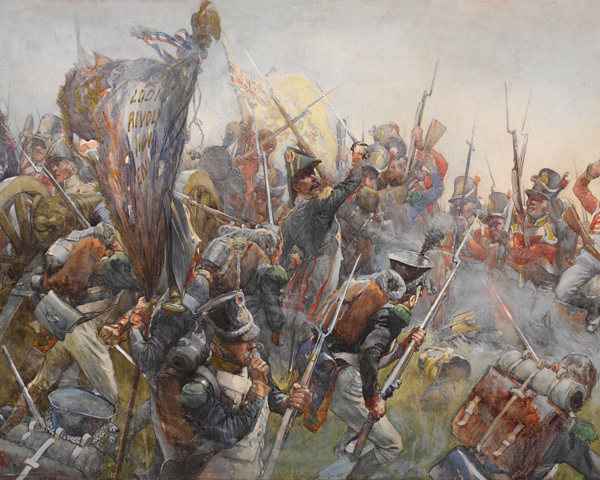 Early in the battle both Marmont and his second-in-command, General Jean Pierre Bonnet, had been injured. Command passed to General Bertrand Clausel who launched a counter-attack against Wellington’s centre. Against a lesser commander, this might have saved the French army, but Wellington was equal to the task, bringing up reinforcements commanded by Major-General Henry Clinton to shore up his middle. By the end of the day, only General Maximilien Foy’s 1st Division remained intact. Five of the eight French divisions had been devastated. Marshal Marmont’s army lost at least 14,000 men and 20 guns, while allied losses were around half as many. The French defeat would have been even more disastrous had the Spanish garrison not abandoned the river crossing at Alba de Tormes. Much to Wellington’s annoyance, the French were allowed to escape to safety. Salamanca proved that Wellington had the ability to manoeuvre and attack in the open field. His reputation for being mainly a defensive general was destroyed. The outstanding victory gave the British and their allies a psychological superiority over the French that would last throughout the remainder of the war. Following the victory at Salamanca, Wellington was able to liberate Madrid. Joseph Bonaparte’s authority in Spain was undermined and Spanish guerrillas were encouraged to increase their operations against the weakened French garrisons. 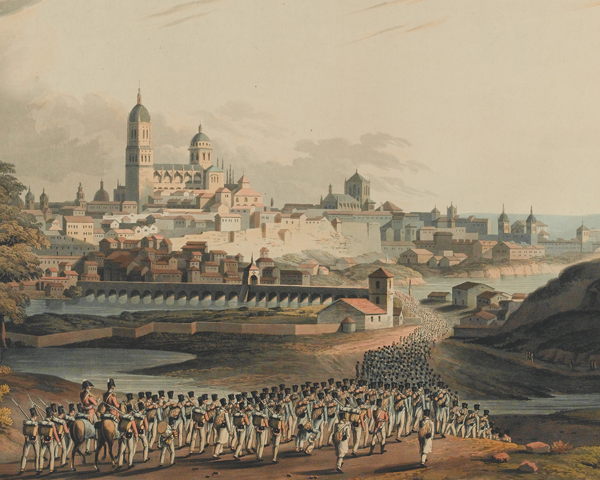 The victory persuaded the British government that the war was worth pursuing, and the subsequent Battle of Vitoria in June 1813 showed the Russians, Prussians and Austrians that Napoleon could be defeated. 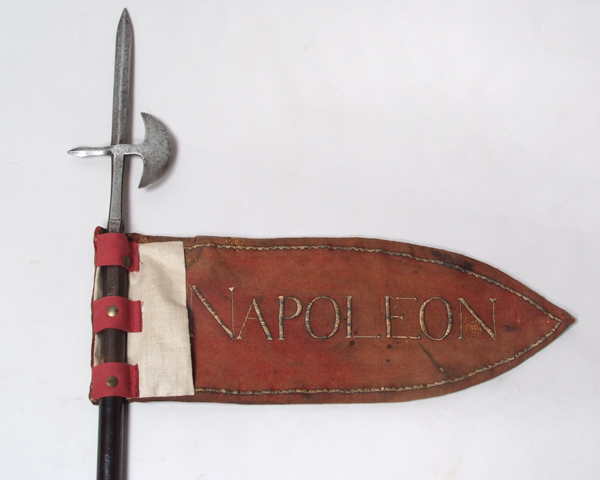 When Wellington entered France in October 1813, Napoleon was soon forced to abdicate. Salamanca had been one of the key turning points.